We arrived in Frankfurt shortly before 9AM, while our connecting flight to Tallinn was shortly after 2PM. Given that we were arriving in first class we of course headed straight for Lufthansa’s First Class Terminal. I won’t be fully reviewing the First Class Terminal since I’ve done so before, though I’ll be sharing a few thoughts. The FCT is about a five minute walk from the main terminal. The First Class Terminal always has a different theme, and during our visit it had a nautical theme. I sat down in one of the offices, ordered a cappuccino, and got some work done. Meanwhile my dad just sat there and enjoyed “zhe ambiente,” as he likes to say. 😉 He’s like a 70-something year old kid in a candy shop when he’s here. Speaking of kids in a candy shop, when you’re here you do have access to quite a selection of gummy bears. Then at around noon my dad and I sat down in the restaurant for lunch. After lunch I took a shower, and of course requested a duck, which sadly was just the standard black one this time around. With our flight scheduled to depart at 2:05PM, we were fetched by our PA at 1:35PM, and she escorted us to the lower level of the FCT and introduced us to the driver. Ah, talk about a view that never gets old! Rather oddly our plane was actually parked at a gate (as opposed to a remote stand), yet they weren’t using the jet bridge. I’m not sure if this was a Schengen/non-Schengen issue or what, but that was strange. When we arrived at the plane the driver asked us to wait for a moment while he check with the crew. The crew wasn’t quite ready, though within five minutes we were invited onboard, and boarded through the rear door. 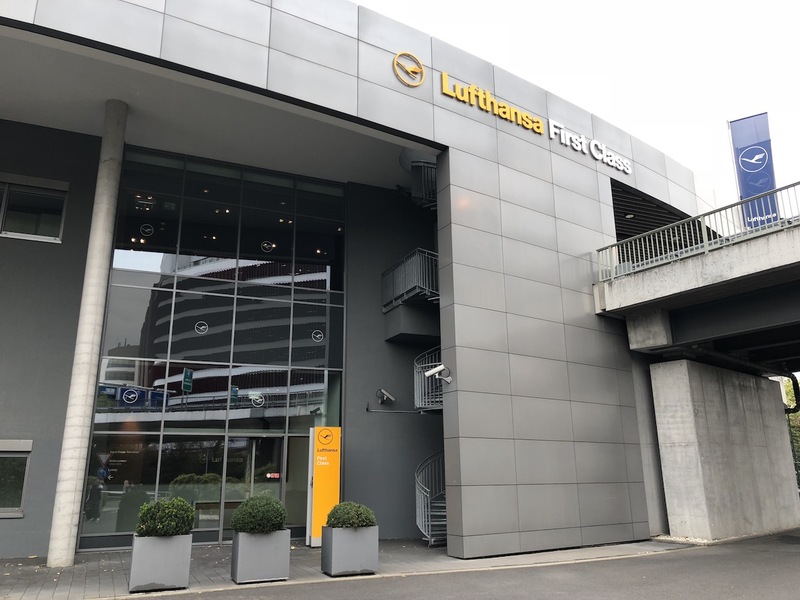 Intra-Europe business class on Lufthansa (and most airlines, for that matter) is among the worst business class you’ll find anywhere in the world, plain and simple. It’s simply economy with limited pitch and a blocked middle seat, so there’s very little redeeming about it. There are a few airlines that offer a “proper” business class within Europe, but they’re the minority. On this particular flight there were four rows of business class (the configuration can be adjusted on each flight based on demand). The purser on the flight was a really friendly guy, and chatted with us for a few minutes. No other passengers boarded yet, so we had the plane to ourselves for a few minutes. Then five minutes later another car showed up, except it wasn’t one of Lufthansa’s first class cars. 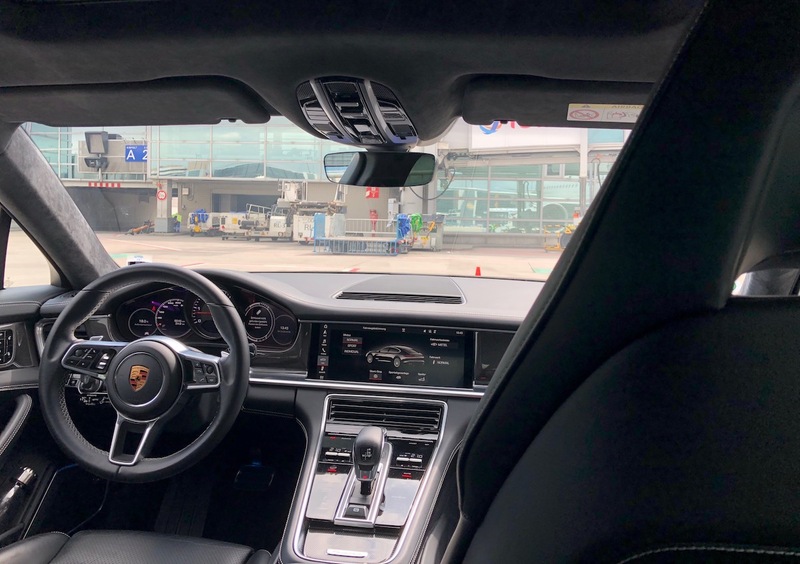 Rather it was a car from the airport’s VIP service. As it turned out, Plácido Domingo, the famous Spanish tenor, was on our flight. He was seated in 1D, and the crew seemed pretty star struck. He couldn’t have been nicer to everyone he interacted with. He even gave the ground escorts kisses and hugs goodbye, and indicated he’d see them tomorrow. Funny enough he wasn’t the only VIP on the flight, though. Gianni Infantino, the president of FIFA, was also on the flight in business class, and he and Plácido talked for quite a bit. As I later discovered, the Super Cup was being held in Tallinn that night. I imagine that’s why Gianni was on the flight, though I wonder if Plácido was also on the flight to watch the match, or what, because the two guys talked so much. Finally at around 1:50PM the first bus full of passengers arrived, and within 15 minutes boarding was complete. At 2:10PM the door closed, and at that point the manual safety demonstration was performed. A few minutes later we began our taxi. We had a very short taxi to our departure runway, 25C, where we were cleared for takeoff at 2:25PM. There were some great views of the airport out of the windows on the left on the climb out. The seatbelt sign was turned off just 10 minutes after takeoff. Five minutes after that the “meal” service began. 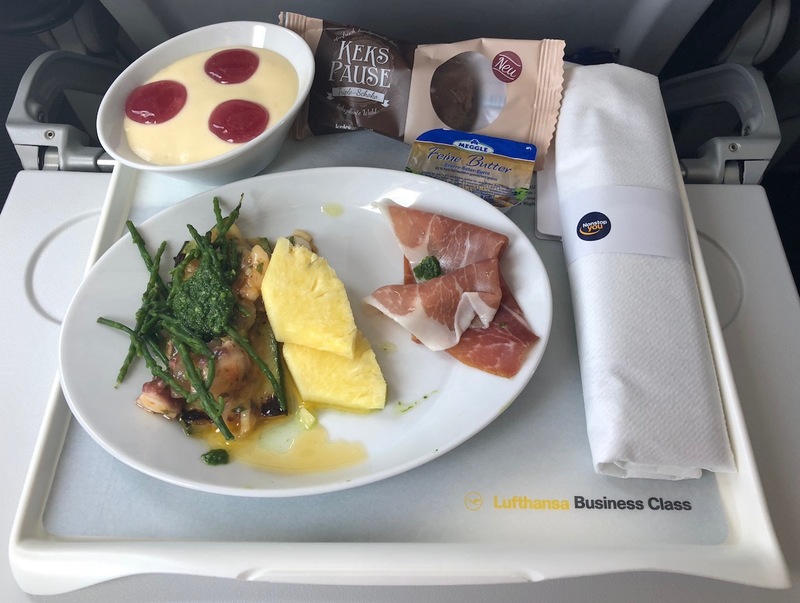 In my opinion Lufthansa has one of the weakest offerings of any airline when it comes to their short-haul business class catering. You’d think on a two hour flight they could serve a hot meal, or at least a substantial cold meal, but they don’t. Even US airlines, which aren’t exactly known for their service, serve hot food in first class on flights of this length. Not only that, but Lufthansa also seems to play a game of making the food they serve as mysterious as possible, as I’m never quite sure what they’re serving on intra-Europe flights. On this flight they had some prosciutto, pineapple, and something I wasn’t able to identify. The dessert was some sort of pudding something-or-another with raspberry, as well as cookies. On the plus side, the crew was excellent, both in terms of their friendliness and the number of times they offered drink refills. I just had some water and coffee, while my dad had a glass of wine. Then once the meal was done the crew came through the cabin with ice cream sandwiches, which I’ve never been served on Lufthansa before. This sure was a dessert-heavy flight, between the pudding-of-sorts, cookies, and ice cream. Some of Lufthansa’s A320s have wifi, though this one didn’t, so there wasn’t much else to do. So I just worked on my laptop for a while. 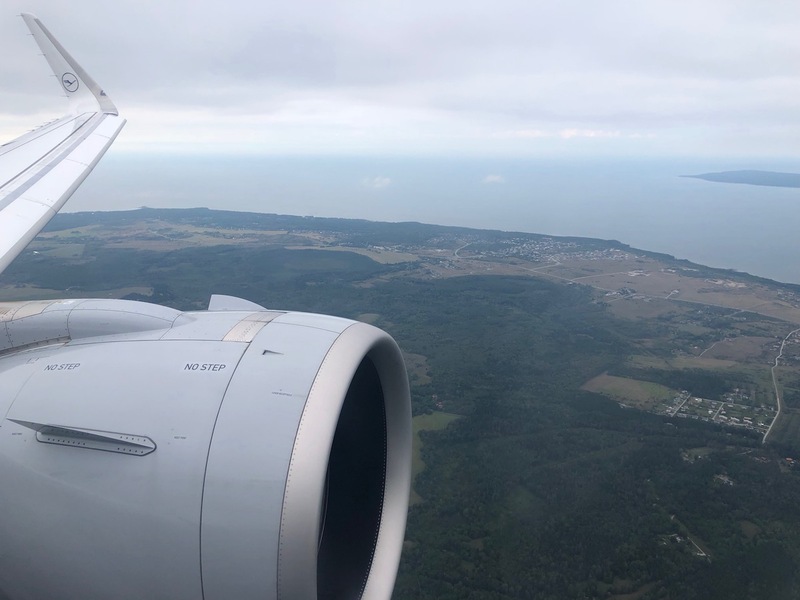 At around 5PM in Tallinn (it’s one hour ahead of Frankfurt) we began our descent, and the captain informed us we’d be landing in 30 minutes. While it wasn’t a particularly beautiful afternoon, we had some cool views. 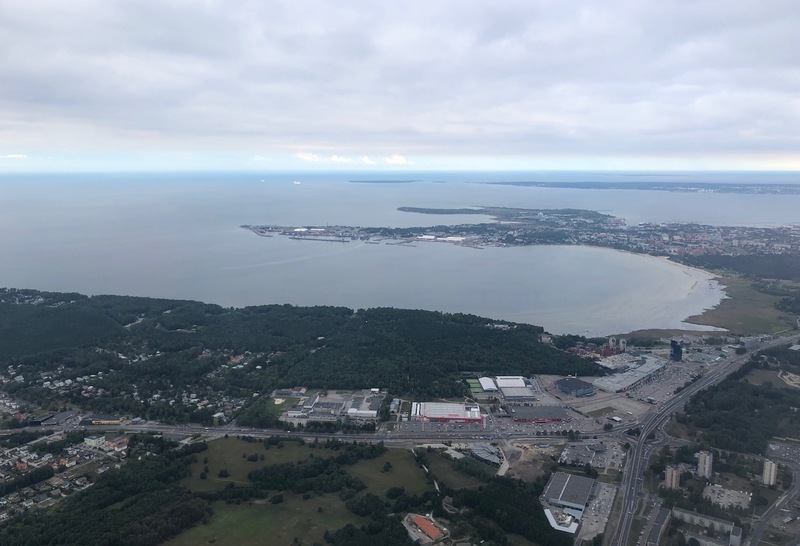 The below picture is of the city of Tallinn, which shows you just how close the airport is to the city. Sure enough we touched down at exactly 5:30PM, and from there had a very short taxi to our arrival gate. There we parked next to a Nordic Regional Airlines turboprop. Not surprisingly there was an entourage waiting for Plácido once the door opened. We bid farewell to the crew, and were excited to explore Tallinn. 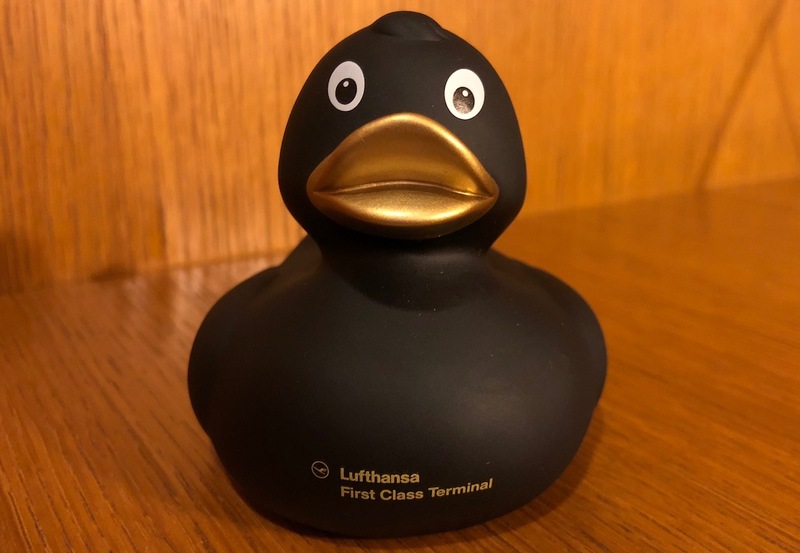 Lufthansa’s short-haul business class is nothing to get excited about, and I’d probably never pay cash for it unless part of a connecting itinerary. However, the reality is that it does make a big difference. 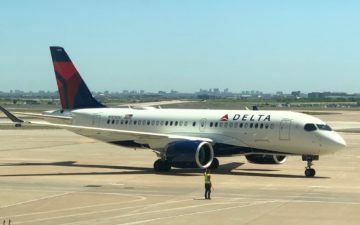 European airlines keep squeezing more seats onto short-haul planes, to the point that sitting in a “regular” seat on a full flight can be uncomfortable. In business class you can at least sit at an angle and have your feet near the center of the cabin. I also wish Lufthansa would spruce up their intra-Europe catering. I find it to be consistently disappointing, and I feel like they’ve been offering the same types of things for years. The most valuable aspect of European business class can be the extra bag allowance. Often times the premium for business class (which usually allows for two checked bags per passenger, and heavier bags) is much less than extra bag fees, heavy bag fees, etc would cost. 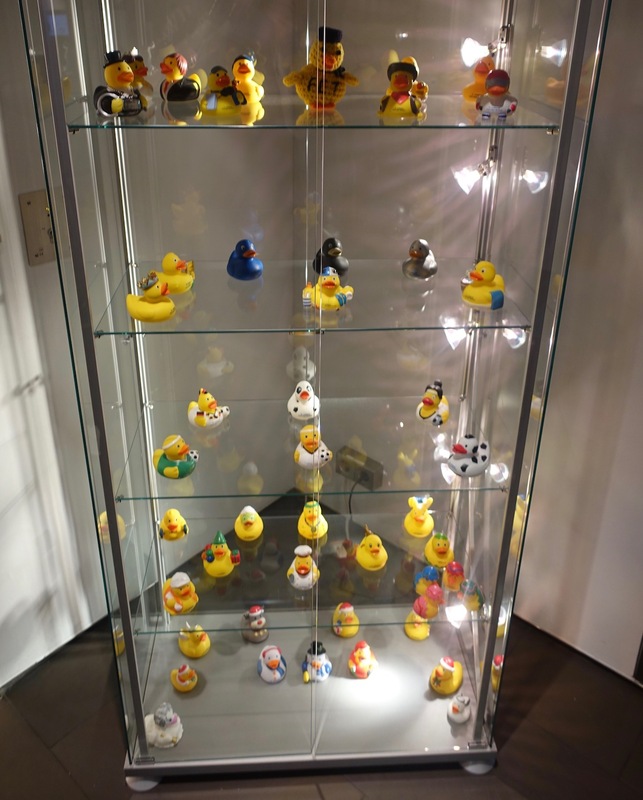 Haha, I love the FCT but they really need a new duck…I’ve been there 3 times in last year spaced relatively evenly, and it’s been the same duck! They really need a few rows of extra legroom seats. I would rather sit in an extra legroom middle than in euro business class. @Lucky, I can’t help it but raise an off-topic I spotted an IB A340 on the tarmac in your pics whilst on approach to Tallinn. Do you happen to know what their business is ? Do they use refurb or aircraft check facilities there ? It depends, when travelling for business, it’s great to have access to a shower at the airport. But yeah, I’ve rarely been on a business flight that wasn’t part of a long haul redemtion/paid ticket. Paying cash is worth it – due to the choice: real economy class without a blocked middle seat, a sandwich only, no lounge (not even the overcrowded business lounge), no priority boarding and no priority baggage delivery. So, it can get worse. 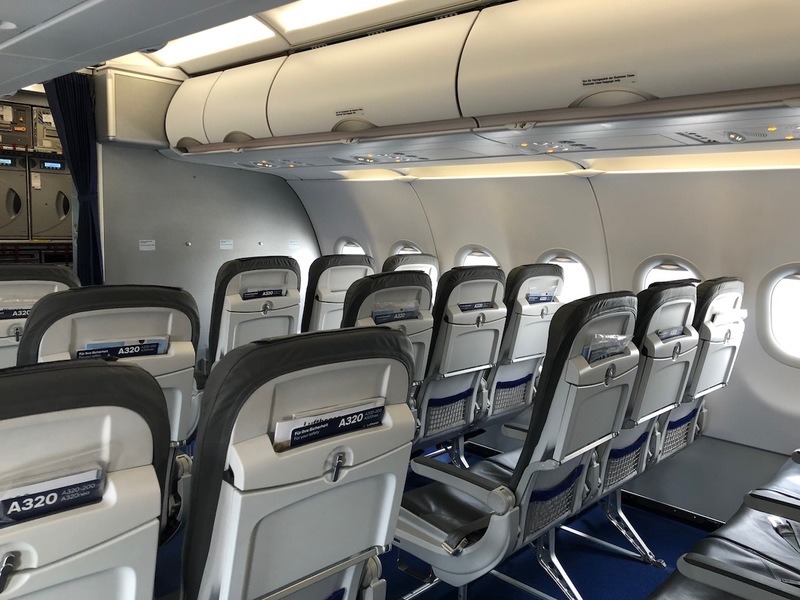 And, in the A320 neo (as you had one), the seat pitch is quite a lot smaller behind the emergency exits – with a last row missing a window. This aircraft is awful in economy. So, be happy to have this as business class…. @19nixxon91 was probably the ride to Tallinn for one of the UEFA Super Cup teams. Both Atletico Madrid and Real Madrid were competing, so could be for either. Placido Domingo is from Madrid and the two teams playing in the UEFA Super Cup were Atletico Madrid and Real Madrid. Also it’s a shame your poor experiences with Lufthansa’s European catering. I flew FRA-PRG in December and was served an excellent and simple salad, custard, and warm bread. Surprised to see two bigwigs flying such a lackluster product rather than a private plane. Hello lucky, was this your first flight with an A320neo? Was it very quiet? I was on LH J from Madrid to Munich in June. I expected to receive what you received. However, this flight was, I guess, long enough, that they had a much more involved service. I received a printed menu. There was a starter course, then later a choice of two main courses, followed by a full dessert service as well. 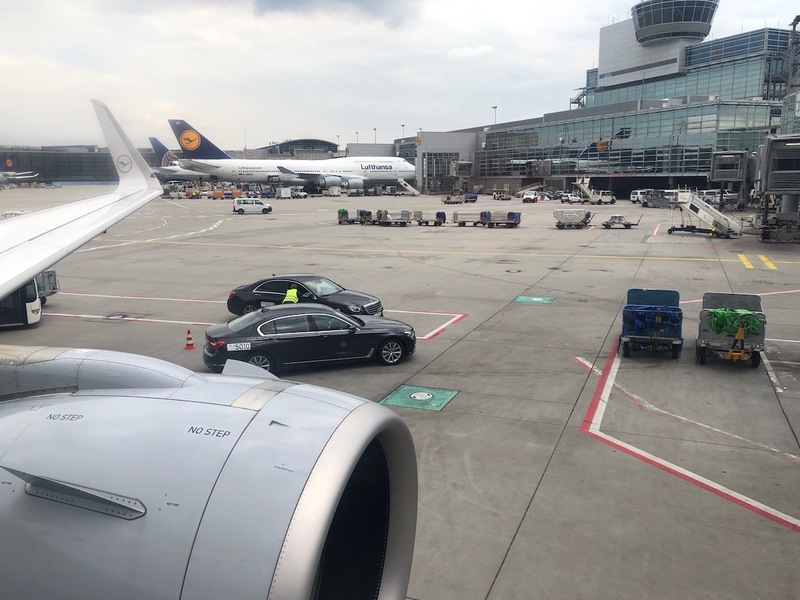 This level of service really surprised me, as on the outbound part of my trip, from Munich to Bilbao, I received what you received on your flight to Tallinn – a plate of food, no menu, etc. Service on both was personable and friendly with endless rounds of drinks. Perhaps Madrid and further west are long enough that they do put more into their service? 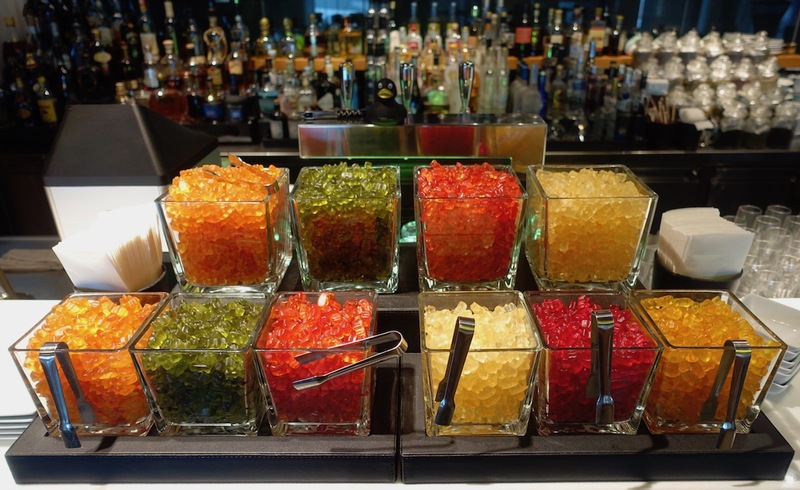 It’s a national shame that LH would serve those crappy gummi bears in the lounge and not Haribo! @Scott oblivious football me – that makes sense, thanks. Google gave me cruise charter for another possible reason. Just seemed odd to have an IB A340 sit at Tallinn International. 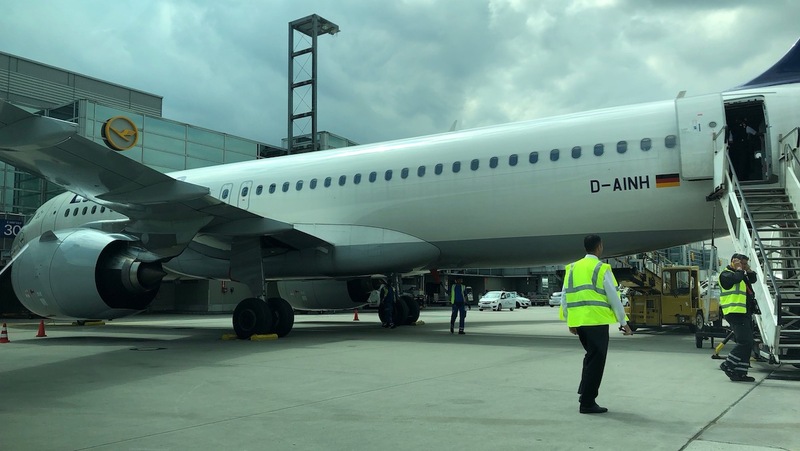 @ Ulf Müller @ Jason — Hah, I didn’t even realize this was an A320neo, which tells you how little difference I noticed. Can’t believe I didn’t notice that! @ 19nixxon91 — That’s an excellent question, was wondering that as well. I’m not sure, but am curious if anyone else knows? 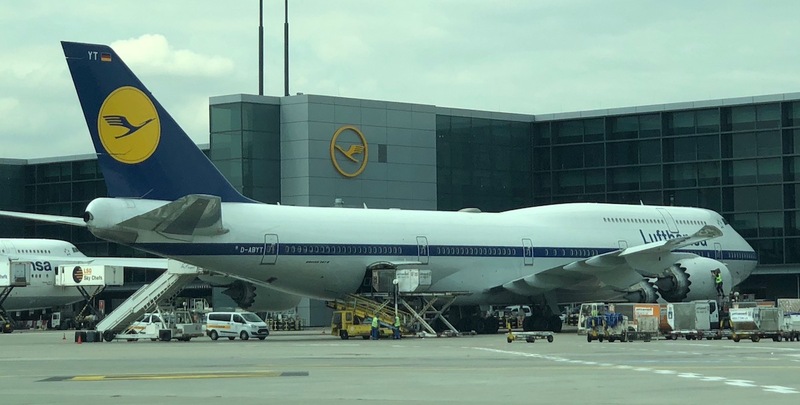 I was at FRA a couple of weeks ago and saw some a/c with the new livery. I also just flew Wideroe’s new E190 mk2 service from HAM to BGO. The Tuesday late evening flight had fewer than 20 pax. It’s a brand new route but I don’t see how it can make any money in the long run. It worked well for my trip though. Flew Lot from WAW to CPH on one of their E95s. Their business class is just blocking the aisle seat so you get a pair of seats to yourself. And you do get a free meal as opposed to the food for sale in the back of the bus. That airline is a bit of a mess and their fleet seems way too divergent for its size to make any sense (CRJs and ERJs of various sizes in addition to 787-8s) and -9s, 737s…). They canceled my WAW-ORD flight two days out and getting rebooked was way more of an ordeal than it should have been but ultimately I found a helpful agent who gave me exactly what I wanted. @jason MUC-MAD LH competes with IB, that’s why I think you had a more elaborate meal service. The best part of this post was the picture of your dad. Priceless. You are so very fortunate to be able to spend time like this with him. And I bet he is a great guy to hang out with! I surely don’t mind flying their business class on a connecting itinerary, but compared to Turkish and US short haul premium cabins, their seats are just so-so. The tray tables for the window seats in the first row are kind of cool though. Enough space to fit a iPad and your meal tray. The breakfast I had a few weeks ago was also surprisingly decent. Probably the most delicious (and fanciest) bowl of cereal I’ve ever had. But there is not competition on intra-european union flights. Turkish is not authorised to fly intra-EU flights. Even Qatar has decided euro-business style seats for Air Italy. I agree North American airlines are certainly not the best cies in the sky, may be except AC, BUT when i see and fly European Biz class … honestly i miss North American Biz Class flight! It is SO ridiculous! Please stop being a fool of yourself, don’t call it Biz Class!!! Luckily i try to fly Turkish as much as possible on the European continent, TK offers a good Biz class service compare to the others. I’m shocked to hear that the President of FIFA flies commercial. Surely one of the largest sporting organizations in the world would have a business jet or two? 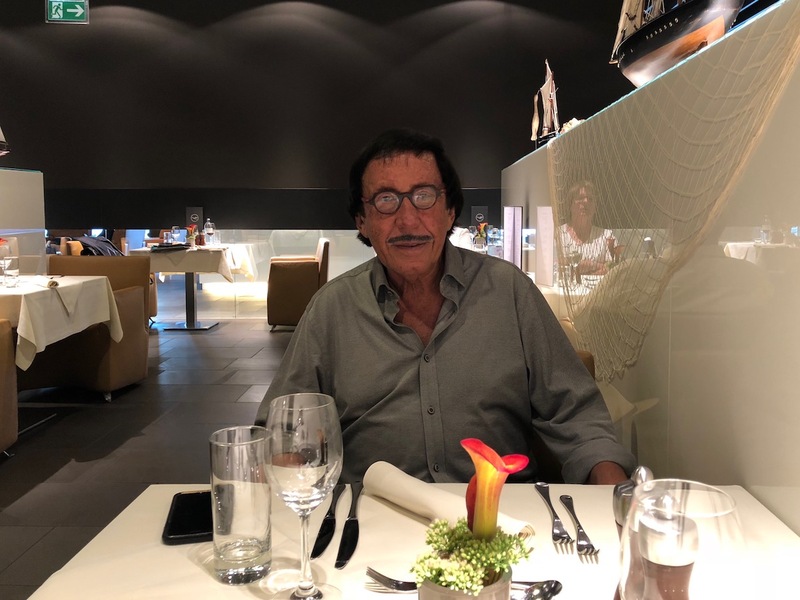 Your dad has a little bit of a Salvador Dali look going there. Stop to said Turkish Airlines is better, it is not the reality, I got similar seat as Lufthansa flight (Euro-business) with Turkish Airlines (duration of the nightmare … 3h10). No guarantee of a proper business seat recliner with Turkish (Europe-IST). @Lucky The fact that they weren’t using a jet bridge wouldn’t have been for Schengen reasons, since Germany and Estonia are both in the Schengen zone. In my experience, that flight regularly uses the jet bridge, so it might have been some kind of one-off thing. Makes me thankful that in Australia the two main domestic airlines QANTAS and Virgin have a proper business class offering even on flights that are barely 60 minutes in the air and serve a hot meal with two choices, though for the prices they charge they should. Have flown a few of the European business class flights only as a connection from their main hub to wherever my final destination was and after coming off say a Finnair A350 from Hong Kong the last few hours to Barcelona or Rome are underwhelming. @Ben Holz, thanks for the insights I didn’t put one and one together. @Lucky, sorry for hijacking this thread but according to the beehive here the answer for the IB plane is football charter. @Devarsh, it adds a lot of flexibility in terms of selling expensive (business class) seats. Imagine a morning departure business heavy feeder from MUC > FRA where the divider is extended up to the exits on the wings. 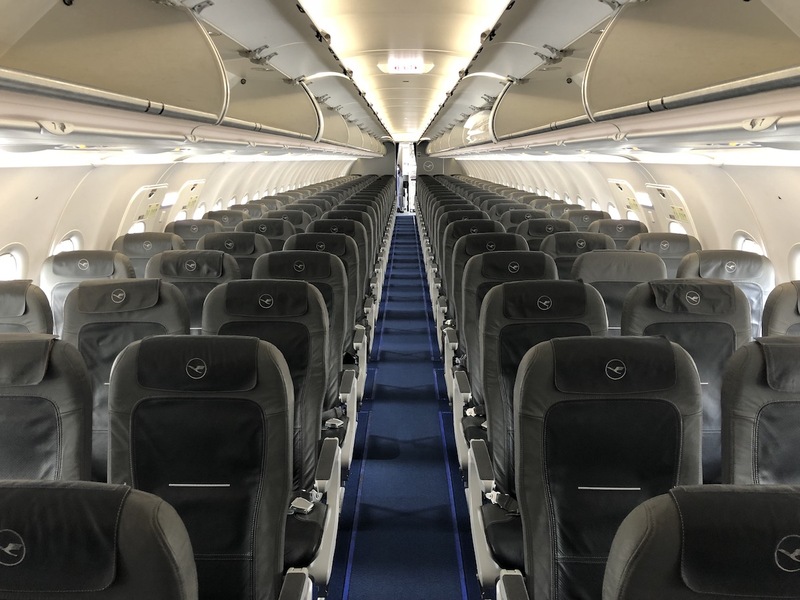 The next say FRA > LIS leisure rotation may only have two or three rows of business class without the need to OpUp an oversold eco cabin for instance. FIFA have received quite a lot of criticism lately when it comes to corruption and how they spend their money. So I guess they don’t wont to splash it too much..
At this point the only way to differentiate intra-european flights between different airlines is by the quality of the food and service. And yes, some are better than others, but not always by a large margin. If anything, I’m more disappointed by the overall decline in quality of food on Swiss in European business class than I am by Lufthansa. Most of European companies decided to fly their managers only in economy to reduce privileges and unnecessary costs. So in european flights Business class have a very little market now. In 1999 when i flew Alitalia to Ireland in economy they gave me a full lunch, now they give 2 biscuits with a drink…. For example Swissair on longer european flights gives a real lunch in economy and business. @Lucky, i found your lunch. it’s shrimp and octopus in pesto dressing with asparagus. Your over-inflated sense of entitlement is showing again, Herr erste Klasse, that is a perfectly adequate snack for a short hop across Eastern Europe. Cold or hot, many times, after a full day of business in the west, the Lufty (or BA) snack has kept the worms quiet enough to survive the train ride home from LHR or BHX to a bit of home cooking. Bizzo seats sure could be better but I always find LH crew in the sharp end very friendly and proactive, as you did. I once collapsed onto a short hop back to England after a dreadful, late, Air Canada flight from Montreal (FAs lecturing me on minimum transfer times, no help at all) and only made the LH connection thanks to FRA staff lifting barriers and cutting me in front of a security line. I was welcomed and told ‘no rush, you’ll make it’ at the LH gate and, once on the plane, and an asthma attack brought on by the sprint from Air Crap kicked in, Lufty crew rushed to bring water while a German lady offered sweets. Hence I have a soft spot for LH. I note you flew off from 23C. German controllers seem to like to despatch British bound flights from 25R, the ‘new’ runway, apparently in east Germany, given the taxi time. BA runs out there (over the autobahn is a treat for first timers) on one engine and only fires up the rest a few metres before the entrance. Your dad looks a character. Is he anything like the German Dad in the US TV series Storage Wars? @19nixxon91 I understand the concept of flexibility and think that it is a valid consideration. However, I believe a lot fo people would share Lucky’s opinion that unless you are on a connecting itinerary the extra cash for business is not just worth it in such cases. By changing your seats, while you reduce overall flexibility, do you not also entice more people to spend that extra/cash on air travel? At least they should do this for those routes which almost consistently would have a heavier amount of business traffic and where several airlines compete (London-Paris, for example). Surprising that no European airline has seen the advantage in differentiating their business class product so as to entice those valued business customers. That veg is samphire, rather than asparagus. 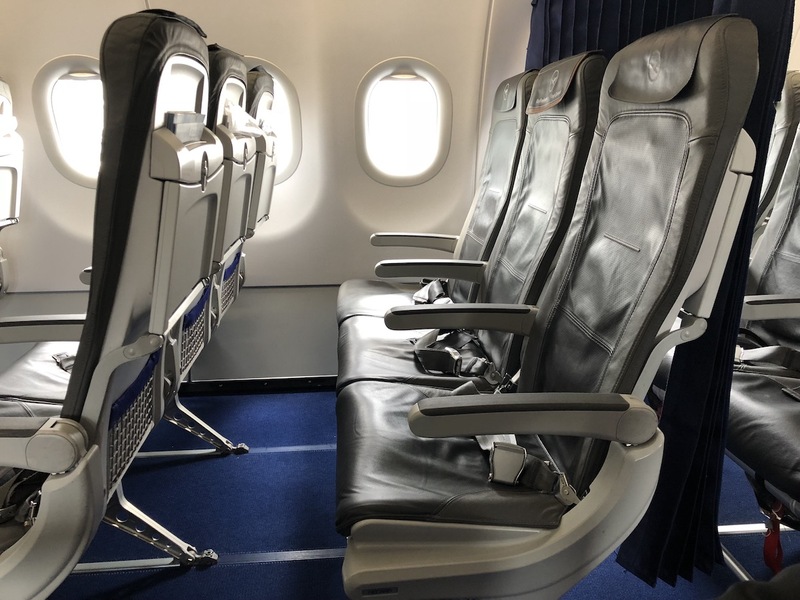 Hi @Devarsh, I would love to have a more comfortable seat in European business class, think of what new TK 737 MAXs and the A32x NEOs will look like up front – the reality is there is very little incentive for most WE airlines. Legacy carriers aren’t able to turn a legit profit on European short-hauls, so why invest other than in “quick wins” (see BA’s new Club Europe catering) ? I get your reasoning: better product = higher prices, however airlines know their figures and realize they can’t command that premium. @19nixxon91 thanks for the lovely explanation! I suspect that Frankfurt has some real contact gate capacity issues which is why you get the stand. Not optimal for connecting, especially if you are paying to sit up front and get off/on first as opposed to sharing the bus ride with everyone. Given LH business is decent but not great, the two don’t go together well. Economy boarding was also through rear door? If yes, maybe the lack of bridge usage and rear-door boarding was used because of the VIPs on the flight.